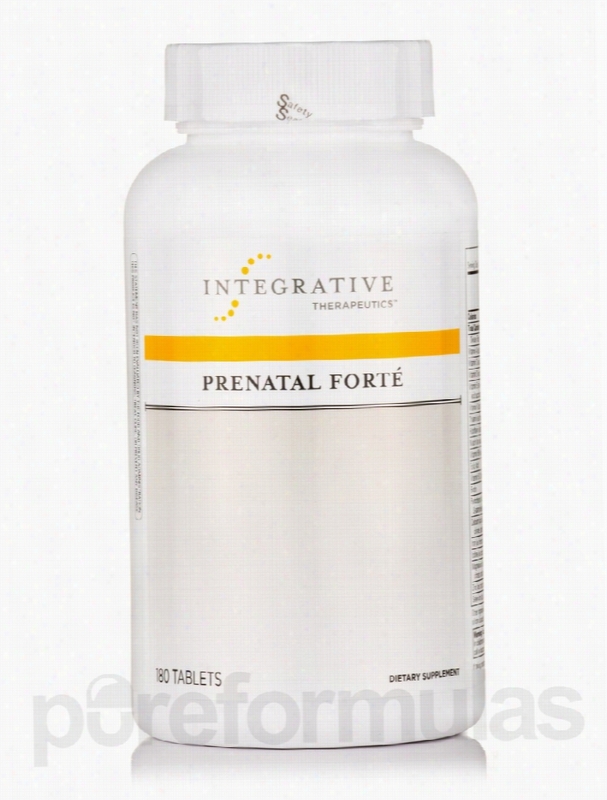 Integrative Therapeutics Women's Health - Prenatal Forte - 180 Tablets. Physiologics Cardiovascular Support - Red Yeast Rice 600 mg with CoQ10. PhysioLogics&rsquo; Red Yeast Rice 600 mg with CoQ10 is a beneficial nutritional supplement with ingredients that have a long history. Red yeast rice is a uniquely healthful food native to China. Traditionally used in Asian cuisine&sbquo; red yeast rice has also proven valuable as a natural Herbal medicinal compound. Typically&sbquo; red yeast rice is created through the fermentation of red yeast (Monascus purpureus)&sbquo; which is then combined with white rice. Red yeast rice supplements have shown the potential to support optimal levels of cholesterol&sbquo; possibly due to naturally-occurring lovastatins that hinder the synthesis of cholesterol in the liver. Unfortunately&sbquo; as a part of this essential process&sbquo; the liver&rsquo;s generation of beneficial CoQ10 is also hampered. For this reason&sbquo; it&rsquo;s critical that a nutritional supplement featuring red yeast rice also provides coenzyme Q-10. 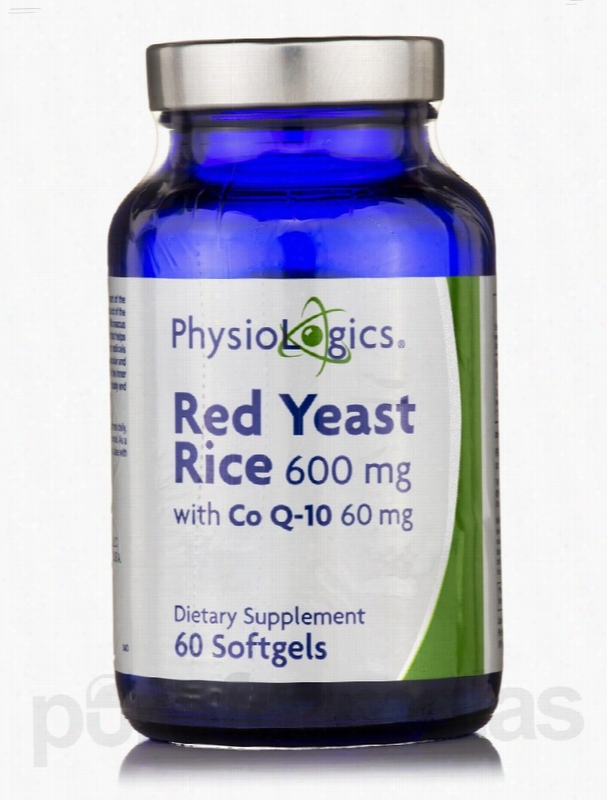 Red Yeast Rice softgels by PhysioLogics do! Other powerful ingredients in this supplement include: Milk thistle&mdash;This herb is recognized for its ability to support liver health. It may also have laxative properties&sbquo; which could relieve constipation. Alpha lipoic acid: This crucial acid is involved in converting glucose into needed energy. In addition&sbquo; it works to reduce the amount of damage free radicals can cause to skin tissues&sbquo; organs&sbquo; and tissues. PhysioLogics provides a wide variety of effective nutritional supplements to health care professionals. Its formulas undergo rigorous scientific testing during every stage of the manufacturing process before going to market. The trust of patients is most important to PhysioLogics. These statements have not been evaluated by the Food and Drug Administration (FDA). These products are not meant to diagnoseÃ¢ÂÂ treat or cure any disease or medical condition. Please consult your doctor before starting any exercise or nutritional supplement program or before using these or any product during pregnancy or if you have a serious medical condition. 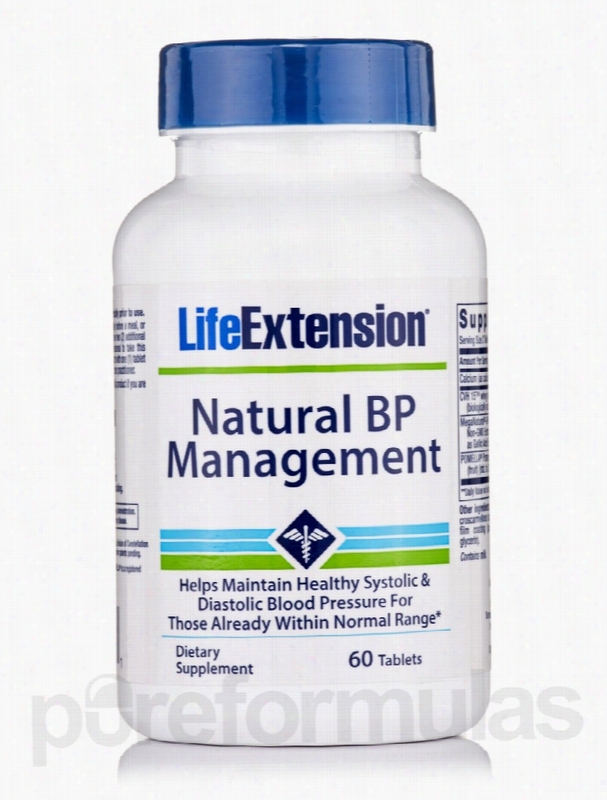 Life Extension Cardiovascular Support - Natural BP Management - 60. Groundbreaking Nutritional research has identified natural agents that can help to support healthy blood pressure. Combining these nutrients with lifestyle modifications&sbquo; pharmaceuticals&sbquo; and regular self-monitoring provides a powerful strategy.Natural BP Management is the first broad-spectrum nutritional supplement to combine potent&sbquo; standardized concentrations of these novel nutritional agents in one convenient&sbquo; easy-to-use formula:CVH 15&trade;&sbquo; derived from whey protein&sbquo; naturally inhibits angiotensin-converting enzyme. Since this enzyme can act to increase dangerous activity of the blood vessel constrictor angiotensin&sbquo; the peptide&rsquo;s inhibiting effect on this enzyme can help to maintain already normal blood flow and blood pressure.Grape seed extract naturally increases blood vessel dilation&sbquo; thereby promoting healthy blood flow and blood pressure already within the normal range. Available for the first time is a patented grape seed extract that contains a novel ratio of uniquely structured polyphenols.Pomegranate extract is an abundant source of antioxidant polyphenols&sbquo; particularly a tannin called punicalagin that functions as a powerful antioxidant and also inhibits angiotensin-converting enzyme&sbquo; thus supporting blood vessel dilation and countering vessel constriction. This extract not only supports blood pressure management&sbquo; but also may provide added cardiovascular protection by promoting healthy endothelial function and inhibiting low-density lipoprotein (LDL) oxidation. These statements have not been evaluated by the Food and Drug Administration (FDA). These products are not meant to diagnoseÃ¢ÂÂ treat or cure any disease or medical condition. Please consult your doctor before starting any exercise or nutritional supplement program or before using these or any product during pregnancy or if you have a serious medical condition. Integrative Therapeutics Metabolic Support - Clinical Nutrients for. Sugar provides a source of glucose that your body's cells can convert into fuel. Glucose&sbquo; however&sbquo; can't enter your cells without a hormone known as insulin. If this process doesn&rsquo;t work effectively&sbquo; glucose can accumulate in the blood&sbquo; starving the cells of energy. This can cause health problems. If you struggle with this&sbquo; you may have unique nutritional needs. For example&sbquo; boosting your intake of minerals like chromium&sbquo; magnesium&sbquo; and zinc may help. These nutrients are metabolized differently and excreted more quickly than others&sbquo; which can impact effectiveness of insulin in your body. A healthy diet and moderate exercise can support overall health. However&sbquo; you may need an additional boost from a supplement. Integrative Therapeutics&rsquo; Clinical Nutrients for Diabetics may help address potential nutritional deficiencies. This formula contains optimal amounts of essential nutrients&sbquo; vitamins&sbquo; antioxidants&sbquo; and minerals. Each tablet also provides the following ingredients: Selenium&sbquo; an antioxidant that may protect cells from damage. Vitamin B12&sbquo; a nutrient that keeps nerves and blood cells healthy. Biotin&sbquo; a B vitamin that helps convert glucose into energy. Gymnema leaf extract&sbquo; a substance that may slow down the absorption of sugar in the digestive tract. Fenugreek&sbquo; a natural herb used to alleviate digestive discomfort and support cardiovascular health. 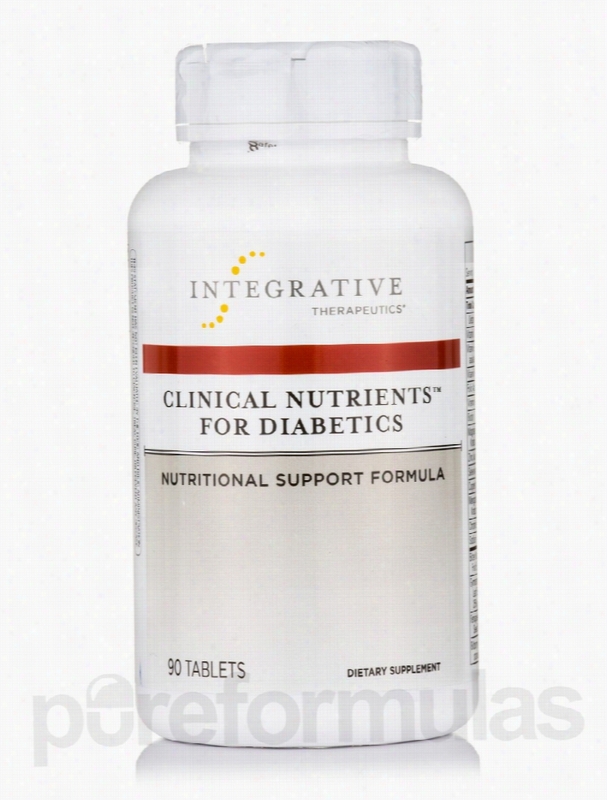 This bottle of Clinical Nutrients for Diabetics by Integrative Therapeutics contains 90 tablets&sbquo; which should last you for a month-and-a-half when taken at the recommended dosage. Integrative Therapeutics has been providing high-quality nutritional supplements to health care professionals for over 35 years. Its Products have been tested in thousands of clinical studies&sbquo; and are proudly manufactured in a GMP-audited facility. The manufacturing processes of Integrative Therapeutics meet or exceed all industry standards. These statements have not been evaluated by the Food and Drug Administration (FDA). These products are not meant to diagnoseÃ¢ÂÂ treat or cure any disease or medical condition. Please consult your doctor before starting any exercise or nutritional supplement program or before using these or any product during pregnancy or if you have a serious medical condition. Douglas Laboratories Joint Support - Vitamin D 1000 IU - 100 Tablets. Vitamin D has been getting a lot of attention lately. A lot of experts suggest that we may need more of this Essential nutrient than we thought before. That's why Douglas Labs has formulated Vitamin D 1000 IU Tablets. Our main source of vitamin D is exposure to the sun. However&sbquo; certain working/living conditions&sbquo; some skin care products&sbquo; and darker skin can inhibit vitamin D absorption from the sun. This can be a problem because vitamin D is considered an essential vitamin&sbquo; meaning that we have to have it in order to maintain our health - there are also very few foods that feature it naturally. So&sbquo; if you think you could benefit from increasing your body's vitamin D levels&sbquo; Douglas Labs' Vitamin D 1000 IU Tablets may be just what you're looking for. Vitamin D 1000 IU Tablets may help promote healthy bones because research and evidence suggests that it can help regulate the absorption of calcium&sbquo; which may help to deter osteoporosis. This is why vitamin D is often paired with calcium. It may also help support healthy phosphorus levels in the body. A nutritional supplement like Vitamin D 1000 IU Tablets may also help support a healthy cardiovascular system. After the conclusions and results of recent studies&sbquo; it's also possible that this nutritional supplement may help bolster one's immune system. Increase your dietary intake of this essential vitamin with Douglas Labs' Vitamin D 1000 IU Tablets! Douglas Laboratories is a pioneer in the field of personalized nutrition. Since its founding in 1955&sbquo; Douglas Labs has been on the leading edge of nutritional technology&sbquo; allowing it to provide superior vitamins and other supplements. All Douglas Labs facilities meet or exceed ISO 9001 &amp; ISO 17025 quality standards. With such attention to safety and use of only the best ingredients&sbquo; you can trust the products that come from Douglas Laboratories. These statements have not been evaluated by the Food and Drug Administration (FDA). These products are not meant to diagnoseÃ¢ÂÂ treat or cure any disease or medical condition. Please consult your doctor before starting any exercise or nutritional supplement program or before using these or any product during pregnancy or if you have a serious medical condition. 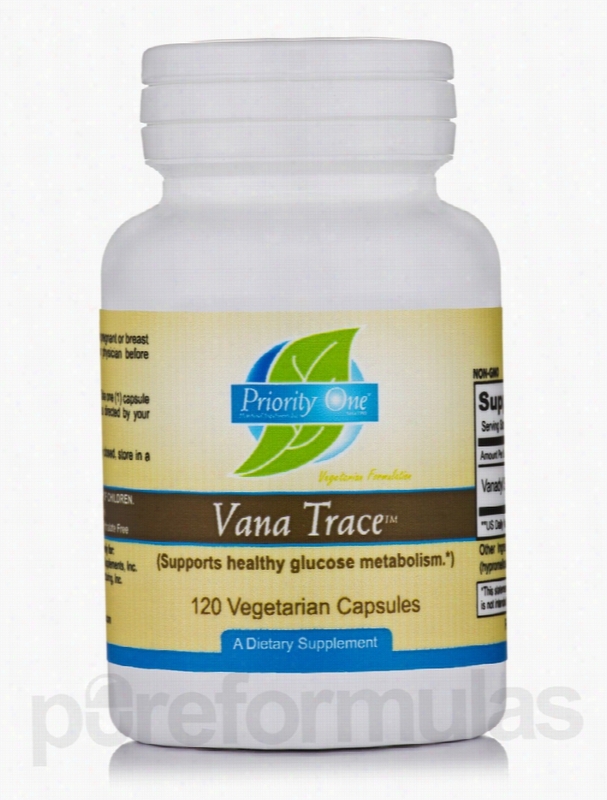 Priority One Metabolic Support - Vana Trace - 120 Vegetarian Capsules. Priority One&rsquo;s Vana Trace provides you with a boost of vanadyl sulfate&sbquo; the effective form of the trace mineral vanadium. This nutritional supplement provides strong support for preserving a robust glucose metabolism&sbquo; and heightens cell responsiveness to insulin via the stimulation of insulin receptors. Important ingredients in this supplement include: Glutamine&mdash;This essential amino acid participates in a number of critical metabolic processes. It is particularly valuable during periods of stress. Glutamine is especially beneficial with regard to building muscles&sbquo; kidney and brain functioning&sbquo; helping boost your immune system to prevent infections&sbquo; and faster wound healing. Gymnema Sylvestre&mdash;This beneficial herb is native to the tropical forests of India. It may reduce sugar cravings by impeding your tongue&rsquo;s sugar receptors; this could be due to the presence of gymnemic acids. Gymnema Sylvestre has also been used to treat stomach ailments&sbquo; constipation&sbquo; water retention&sbquo; and some liver issues. Vanadium (vanadyl sulfate)&mdash;The trace mineral&sbquo; which Vana Trace gets its name from&sbquo; has been the subject of extensive research. In one study conducted by the University of Texas Health Science Center in San Antonio&sbquo; vanadyl sulfate was found effective in improving liver health and the insulin sensitivity of muscles&sbquo; as well as in significantly improving glycemic control. As a manufacturer of high-quality natural health and nutritional Products&sbquo; Priority One is committed to serving health care professionals and patients. Priority One is a family-owned and operated company that was established a quarter of a century ago. Its focus is on developing potent&sbquo; safe&sbquo; and effective nutritional supplements that enhance the lives of users. These statements have not been evaluated by the Food and Drug Administration (FDA). These products are not meant to diagnoseÃ¢ÂÂ treat or cure any disease or medical condition. Please consult your doctor before starting any exercise or nutritional supplement program or before using these or any product during pregnancy or if you have a serious medical condition. 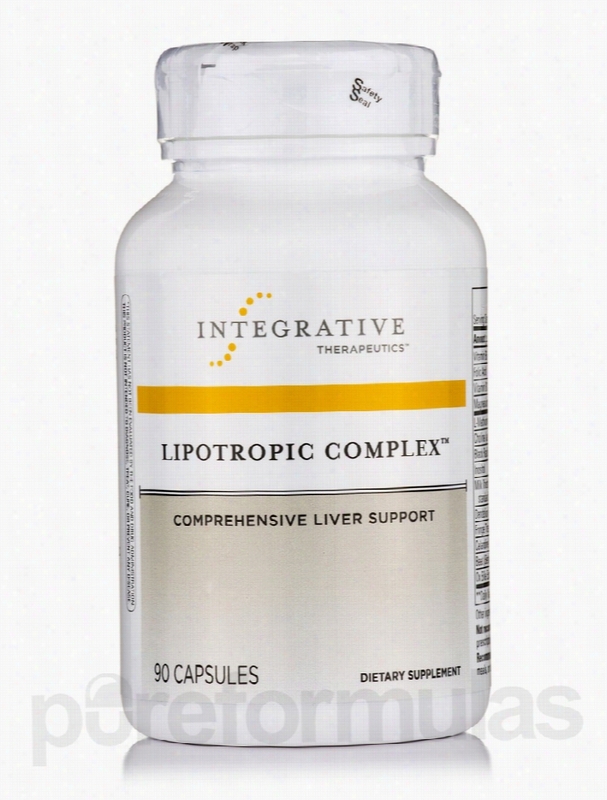 Integrative Therapeutics Liver Support - Lipotropic Complex - 90. Integrative Therapeutics&rsquo; Lipotropic Complex&trade; is an exceptionally effective nutritional supplement that may provide support for transmethylation reactions&sbquo; the vital processes crucial to life&sbquo; health&sbquo; and cell regeneration. Key to these reactions is the contribution&mdash;or transfer&mdash;of methyl groups&sbquo; which are organic compounds consisting of three hydrogen atoms bonded to a carbon atom. While countless nutritional supplements from other manufacturers contain the nutrients needed for healthy transmethylation reactions&sbquo; only Lipotropic Complex&trade; capsules provide the following benefits: Broad promotion of healthy liver functioning A blend of phytonutrients&mdash;the best plant-based compounds&mdash;with bile salts to support the liver naturally Support for healthy transmethylation&sbquo; a vital process that contributes regeneration of healthy cells (especially critical for liver health) Almost everything you eat or drink must pass through the liver&sbquo; so it&rsquo;s exposed to all of the nutrients and chemicals contained in foods and drinks. In addition&sbquo; the liver creates bile; bile is essential for helping your Body break down fats&sbquo; while also working to move toxins out of the liver. A healthy liver promotes overall sense of wellbeing. Natural liver support for the liver is provided in this supplement with its combination of phytonutrients&sbquo; the most beneficial plant-based compounds available. It also contains bile salts to maximize its benefits. 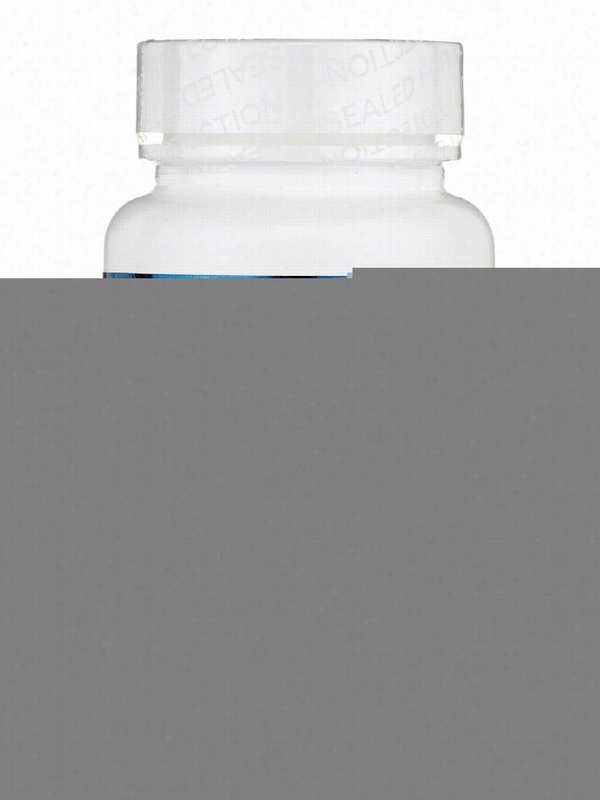 Each capsule of Lipotropic Complex contains 90 capsules. Integrative Therapeutics has been providing high-quality nutritional supplements to health care professionals for over 35 years. Its products have been tested in thousands of clinical studies&sbquo; and are proudly manufactured in a GMP-audited facility. The manufacturing processes of Integrative Theraputics meet or exceed all industry standards. These statements have not been evaluated by the Food and Drug Administration (FDA). These products are not meant to diagnoseÃ¢ÂÂ treat or cure any disease or medical condition. Please consult your doctor before starting any exercise or nutritional supplement program or before using these or any product during pregnancy or if you have a serious medical condition. Allergy Research Group Joint Support - Osteo-Vi-Min Complex Powder -. Your body is a finely tuned machine that requires a wide array of nutrients to keep it in optimal condition. Often&sbquo; the busy pace of your life can mean that your nutritional needs aren't met by food alone. Even the most health conscious person sometimes needs a boost of vitamins&sbquo; minerals&sbquo; and antioxidants to compensate for dietary deficiencies. 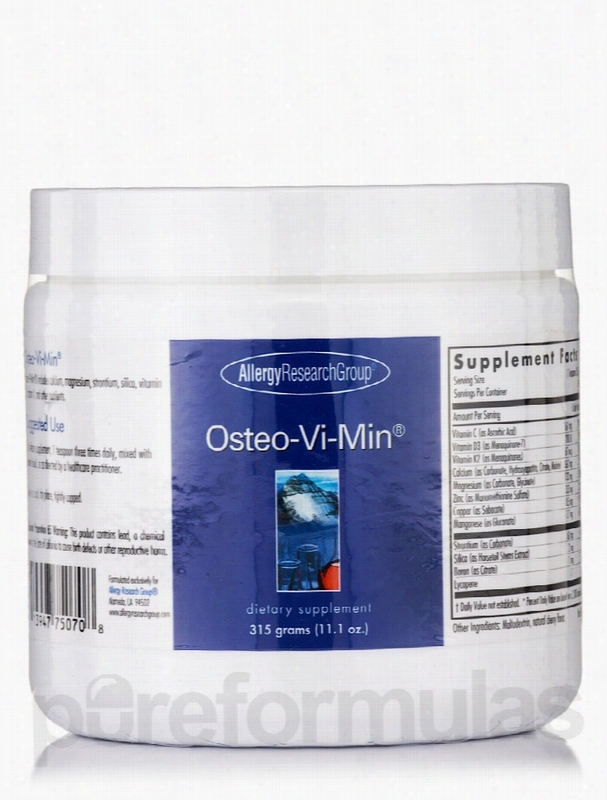 If you're looking for a complete nutritional supplement designed to nurture your bones&sbquo; joints&sbquo; and overall health&sbquo; Allergy Research Group&rsquo;s Osteo-Vi-Min&reg; Complex can offer you a convenient dose of comprehensive nutrients. In addition to containing most essential vitamins and minerals&sbquo; this powdered formula takes advantage of nutritional synergy&sbquo; ensuring that all of its components are absorbed efficiently by your body. Each container of Osteo-Vi-Min&reg; Complex contains 315 grams of powder&sbquo; which provides essential nutrients like the following: Vitamin C&sbquo; which has extensive antioxidant properties and is essential for the health of your skin&sbquo; as well as the strength of your immune and cardiovascular systems. Vitamin D3&sbquo; which helps you maintain normal blood levels of calcium and phosphorus&sbquo; in addition to aiding your body's absorption of minerals that create strong bones. Strontium&sbquo; which shares many of calcium's bone-fortifying benefits&sbquo; while potentially reducing bone Pain. Zinc&sbquo; which is essential in cellular metabolism and is an important factor in wound healing&sbquo; immune function&sbquo; and even DNA synthesis; since your body can&rsquo;t store zinc&sbquo; it's important to ingest it daily. Manganese&sbquo; which may help counter the effects of bone loss&sbquo; premenstrual syndrome (PMS)&sbquo; anemia&sbquo; and fatigue. In addition to these vital nutrients&sbquo; Osteo-Vi-Min&reg; Complex Powder by Allergy Research Group also contains vitamin K2&sbquo; calcium&sbquo; copper&sbquo; silica&sbquo; boron&sbquo; and lycopene. Each container gives you a 30-day supply at the recommended serving size. Allergy Research Group has been providing high-quality&sbquo; hypoallergenic supplements for over 30 years. Its unique supplements incorporate the latest scientific discoveries&sbquo; making Allergy Research Group products the choice of many physicians and other healthcare practitioners to support the nutrition and health of their patients. These statements have not been evaluated by the Food and Drug Administration (FDA). These products are not meant to diagnoseÃ¢ÂÂ treat or cure any disease or medical condition. Please consult your doctor before starting any exercise or nutritional supplement program or before using these or any product during pregnancy or if you have a serious medical condition. 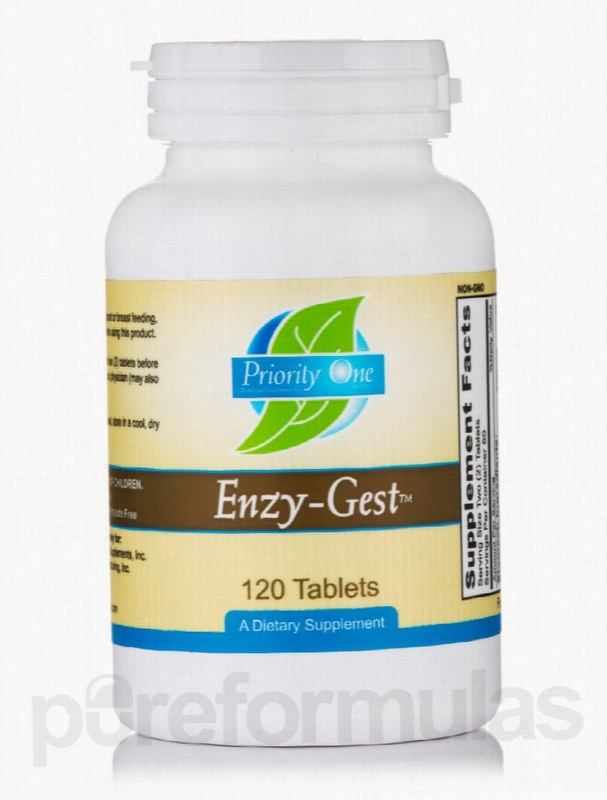 Priority One Gastrointestinal/Digestive - Enzy-Gest - 120 Tablets. If your digestive system isn&rsquo;t working properly&sbquo; you may experience a variety of unpleasant symptoms. Improper digestion can lead to heartburn&sbquo; bloating&sbquo; and gas. If this goes on for a long time&sbquo; you may even experience nutritional deficiencies; this is because you&rsquo;re less likely to absorb the Vitamins and minerals your body needs to function at its best. If you think you might have a digestive problem&sbquo; you might want to consider taking Priority One&rsquo;s Enzy-Gest&sbquo; a digestive enzyme formula that consists of two phases. This supplement is designed to improve digestion and promote increased enzymatic activity in the intestines. Unlike other products made to improve digestion and absorption&sbquo; Enzy-Gest is made up of natural ingredients unlikely to cause dangerous side effects. Some of these ingredients include: Glutamic Acid&mdash;an amino acid that aids in digestion Pepsin&mdash;a digestive enzyme naturally found in gastric juices Papain&mdash;a substance derived from the fruit of the papaya tree that promotes digestion Pancreatin&mdash;a mixture of digestive enzymes Bromelain&mdash;a mixture of enzymes that help you digest protein Amylase&mdash;an enzyme that promotes the conversion of starch into sugar Pancrealipase&mdash;a substance that may promote the digestion of nutrients from food One bottle of Enzy-Gest by Priority One contains 120 tablets&sbquo; which should last for about two months at 2 tablets a day&sbquo; depending on your dosage. As a manufacturer of high-quality natural health and nutritional products&sbquo; Priority One is committed to serving health care professionals and patients. Priority One is a family-owned and operated company that was established a quarter of a century ago. Its focus is on developing potent&sbquo; safe&sbquo; and effective nutritional supplements that enhance the lives of users. These statements have not been evaluated by the Food and Drug Administration (FDA). These products are not meant to diagnoseÃ¢ÂÂ treat or cure any disease or medical condition. Please consult your doctor before starting any exercise or nutritional supplement program or before using these or any product during pregnancy or if you have a serious medical condition. 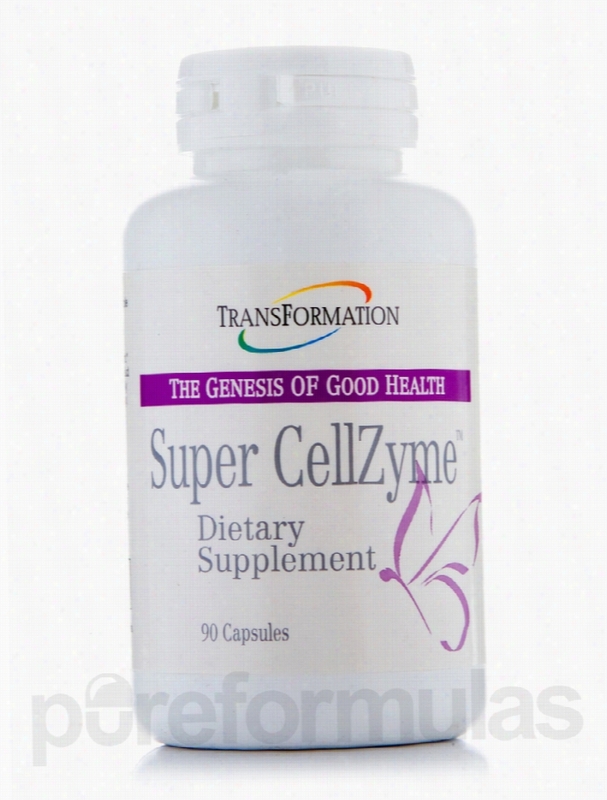 Transformation Enzyme Corporation Cellular Support - Super CellZyme -. Super CellZyme features a diverse and balanced blend of enzymes&sbquo; botanicals&sbquo; and other ingredients to potentially offer you energy on a cellular level. Insufficient or poor dieting&sbquo; stressful lifestyles&sbquo; and more can leave you drained. That's why Super CellZyme by Transformation Enzyme Corporation aims to potentially balance your energy by possibly addressing the issue on a cellular level. Featuring an Enzyme Proprietary Blend to aid in digestion (which can then help nutrition and energy levels)&sbquo; Super CellZyme is formulated with Lipase&sbquo; an enzyme that acts as the catalyst for the breakdown of lipids (fats). Super CellZyme also features Protease&sbquo; which is responsible for catalyzing the breakdown of proteins by dismantling the peptide bonds that hold amino acids together. In order to help your body and cells get the nutritious they need&sbquo; Super CellZyme also features numerous natural botanicals like Blue Green Algae&sbquo; which contains protein&sbquo; iron&sbquo; and essential B vitamins. Super CellZyme is also a source of flax seed. This powerful seed packs a Nutritional punch with high dietary fiber&sbquo; omega-3 fatty acids&sbquo; essential minerals&sbquo; vitamin C&sbquo; and much more. Other nutritional herb and plat ingredients include: Spinach Leaf&mdash;Source of essential vitamins A&sbquo; C&sbquo; E&sbquo; K Barley Grass&mdash;Source of amino acids Broccoli &mdash;Source of fiber and vitamin C Rose Hips&mdash;Source of vitamin C Super CellZyme also features Wheat Germ&sbquo; possibly one of the most nutrient packed botanicals out there with B vitamins&sbquo; fiber&sbquo; protein&sbquo; phytosterols&sbquo; omega-3 fatty acids&sbquo; and more. Super CellZyme was formulated with your whole family in mind&sbquo; to potentially offer the balanced nutrition that everyone in your family may need with essential vitamins and minerals&sbquo; plus more. Since its founding in 1991&sbquo; Transformation Enzyme Corporation (TEC) has believed that you should be able to enjoy a healthy and happy lifestyle. Since then&sbquo; TEC has been providing nutritional supplements that allow people around the world to maintain their health in the most convenient way possible. These statements have not been evaluated by the Food and Drug Administration (FDA). These products are not meant to diagnoseÃ¢ÂÂ treat or cure any disease or medical condition. Please consult your doctor before starting any exercise or nutritional supplement program or before using these or any product during pregnancy or if you have a serious medical condition.